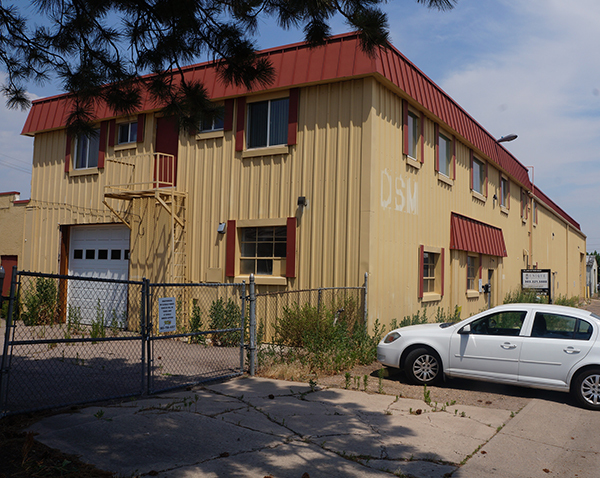 The Denver City Council has approved the rezoning needed for a developer’s plan to replace an industrial structure in Overland with an eight-story residential building. The council voted 11-0 last Monday to rezone the 0.72-acre lot at 2065 S. Cherokee St. from industrial to urban center, residential mixed use. Denver-based LCP Development wants to develop “Cherokee Flats” at the site. LCP Associate Beau Breck said the building would have 139 apartments, about 5,000 square feet of commercial space and three levels of parking with 155 spaces. LCP has submitted a project concept to the city for the site, but has yet to submit a formal site-development plan. The 2065 S. Cherokee St. lot is currently home to an industrial building. The property is owned by Uhrig Holdings LLC, which paid $1.4 million for it in May 2014, according to records. Breck said that LCP expects to close on the purchase of the site this month; he declined to disclose the anticipated price. Brad Gilpin with Unique Properties is representing the seller. Breck said LCP hopes to break ground in early 2019. Construction is expected to take 14 months. 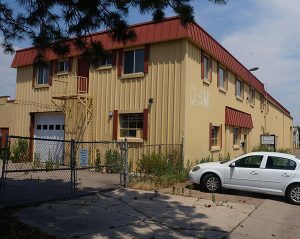 The current plan calls for 66 of the units to be microunits or studios, ranging in size from 437 to 570 square feet, Breck said. Another 49 would be one bedrooms, topping out at 715 square feet. The remaining 24 units would have two bedrooms, the largest of which would be 1,135 square feet. Breck said the units are expected to rent for between $1,250 and $2,300 a month. The block where LCP wants to build is largely industrial. Declaration Brewing Co. has a taproom and brewery across the street, and Greystar is building Encore Evans Station, an apartment complex with more than 200 units, about a block north. Breck said LCP sees the location’s biggest selling points as the proximity to South Broadway (three blocks to the east), the proximity to the Evans Station light-rail stop (about two blocks south) and a planned pedestrian bridge that is slated to stretch across the railroad tracks and Santa Fe Drive to the west, providing access to Overland Golf Course. “We sort of view it as three gravitational pulls in the neighborhood,” Breck said. 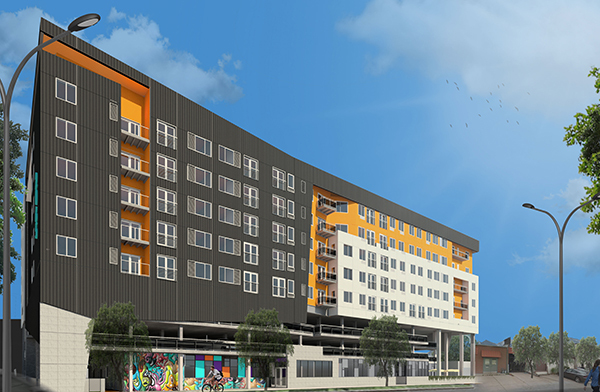 Other area apartment complexes that LCP has developed include Link 35, a 66-unit project at 1220 35th St., and Oxford Station, a 238-unit project at 4101 S. Navajo St. in Englewood, according to the company’s website. 1 Comment on "Rezoning approved for planned Overland apartments"
HI Great Job Tom on your work.